November 1-2, 2003 we took a very short trip up to Norway to meet our friend Brian who has been studying in Germany. It was a very quick trip - the officer at passport control in Oslo expressed surprise that we'd only been there for one day - but we had to get back to Cambridge. We found a great deal for the flight on RyanAir, but it did end up involving a long bus ride into town from the smaller airport, Oslo-Torp. Luckily we met up with Brian at the central train station and he had already booked us a place to stay, so we were able to start our visits right away. 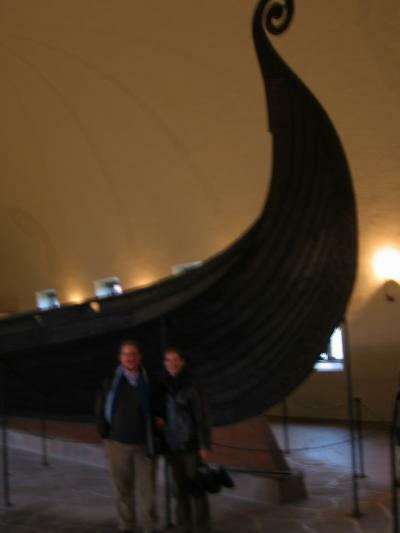 On Saturday we visited the Viking Ship Museum, which contains the best preserved Viking ships ever found. 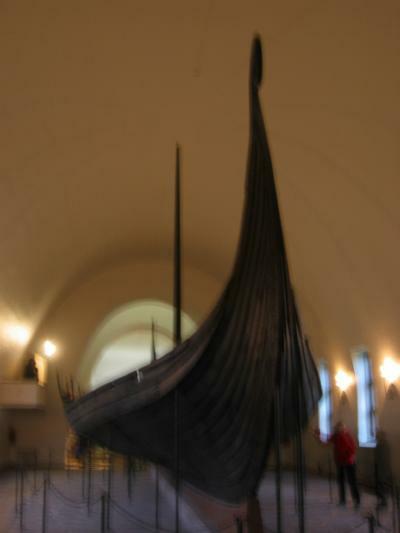 The ships were used for burials and were found at Oseberg, Gokstad and Tune. 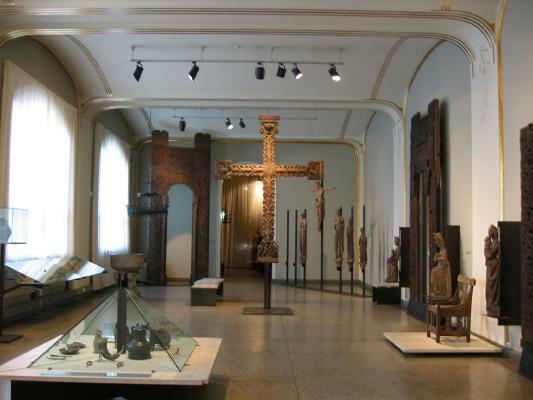 It is not a large museum, but it is done well (with the exception of the metallic info plaques that were directly under lights and difficult to read). 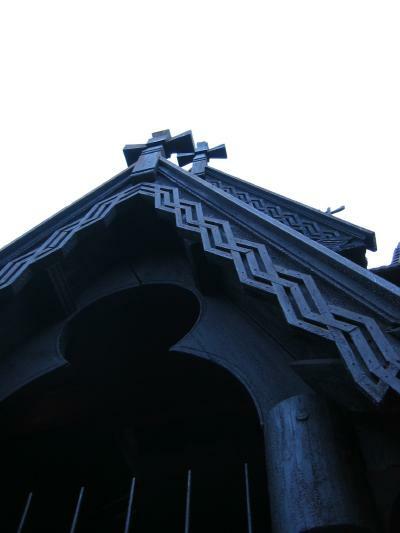 It was a very damp day on Saturday but we decided to visit the Norsk Folke museum which is a really impressive open air museum that has buildings from all over Norway from different time periods. 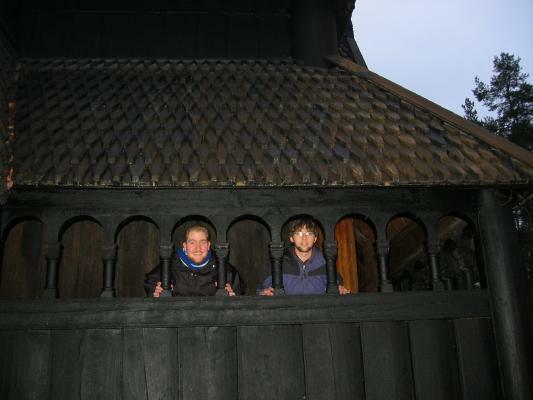 The real draw for us was Gol stavkirke (or stave church) which is an impressive wooden church from the 13th century. 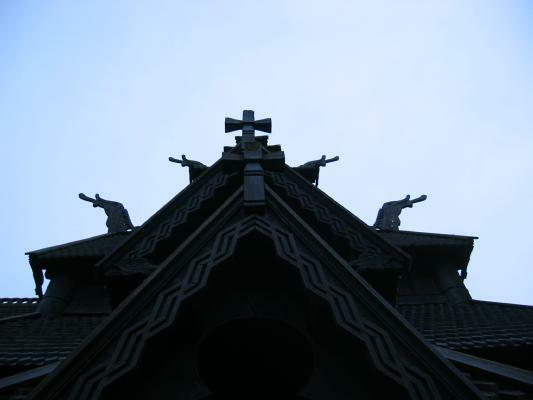 We had hoped to visit some of the other stave churches in Norway, but because of the time constraints we were happy to see this one. Saturday evening we walked around the town and had a typical Norwegian dinner - pizza! (Really! We went to one of the most popular restaurants, which is a Norwegian pizza chain. It was a bit more in our price range than some of our other choices). Sunday morning we were excited to wake up to sunshine. We had breakfast at the hostel (though only Brian could really stomach the pickled herring, we all enjoyed the other options and the strong coffee). 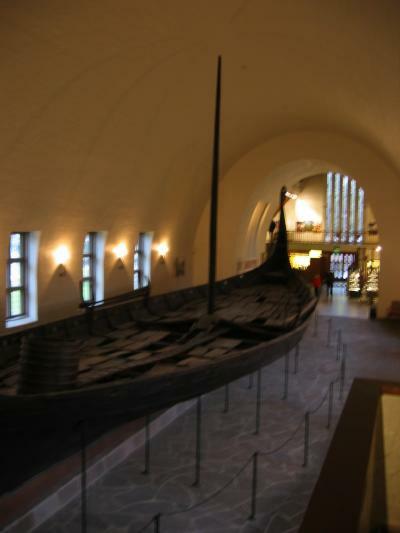 We then visited the University's History museum to see Viking and Medieval artifacts. 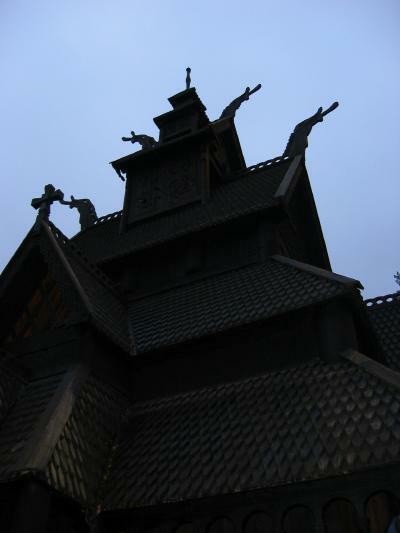 The museum contains many objects (including an entire painted roof) from other stave churches which are no longer standing. 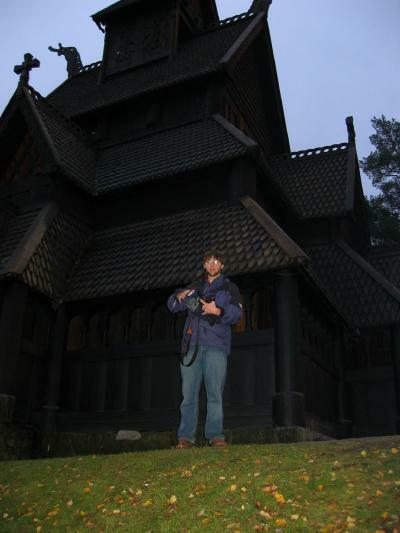 After this museum we walked around and saw some of the famous sites in town before heading back to the Folke museum in the hopes of getting a few more pictures of the stave church and visiting more of the museum. 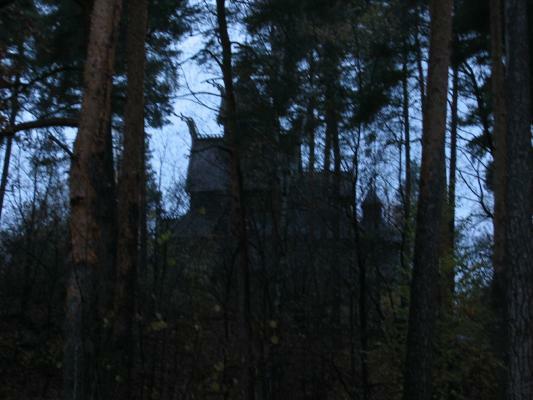 It was getting quite dark so some of our pictures didn't turn out so well but we enjoyed the visit nonetheless. We did get to try some traditional breads that were baked in the traditional way by people dressed in period costumes - in the summertime the park is full of demonstrations and people in costumes. In the winter there is less going on (because, we were told, there are only a few buildings where it's safe to have a fire and it's too cold to make anyone sit in the other buildings in the winter!) - so we had the museum mostly to ourselves. Afterwards we headed back into town for coffee and a bit more walking before we had to catch our bus back to the airport. We were disappointed that because of the weather we weren't able to see the Northern Lights, but we enjoyed our visit otherwise and it was good to see Brian. We've decided that we may just have to go back to Norway again. The details on this ship are very impressive. It's construction is lighter and less sturdy than the other ships, so probably it was only used for pleasure cruises and not for battle. 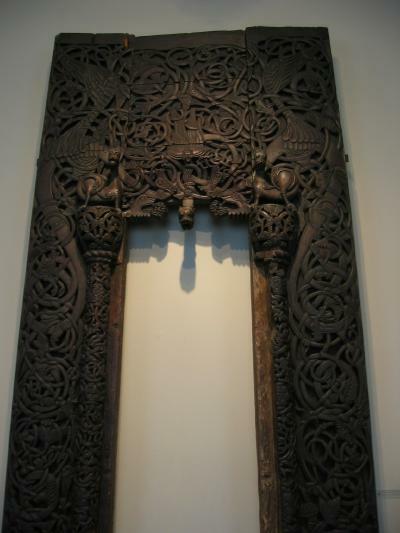 It was used for the burial of a queen and her maidservant. 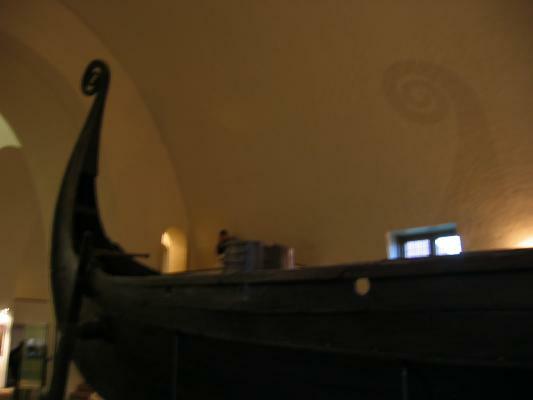 The two pictures on the left are the other two ships in the museum. Paul pointed out that because of the dating of the ships, it's possible that they could've been used to sack the monastery of Jarrow (Bede's place) in the 9th century (after Bede). 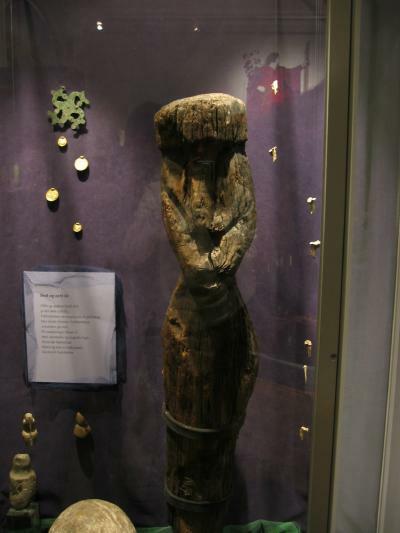 In addition to the ships, the museum also displays items that were found in the ship burials. The picture on the right is a detail from a cart that was found in the queen's ship burial. 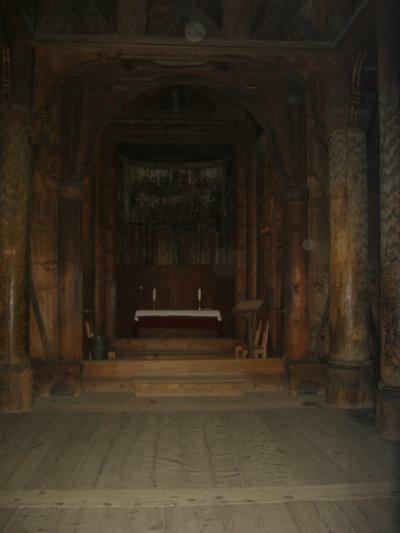 These are some of the impressive wooden buildings in the Folkemuseum. 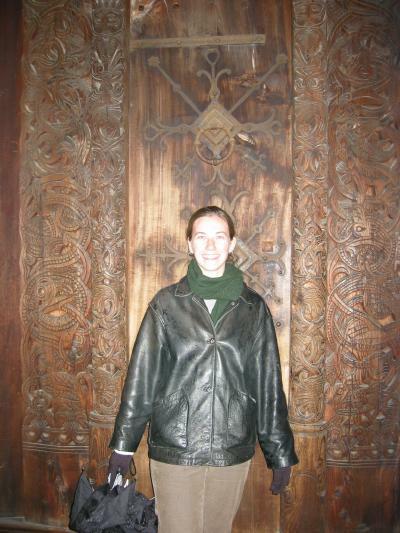 It's fun to see that even their barns were decorated with carvings. These buildings are from about the time that our family came over to America. The two pictures on the left are of another farmhouse and barn. In the two right pictures, Brian and Paul take some pictures. 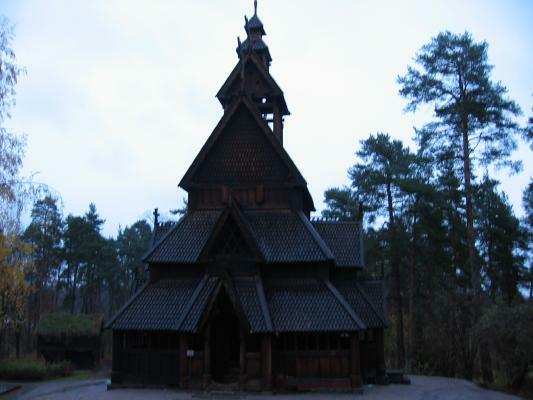 The Gol stavkirke is really impressive. 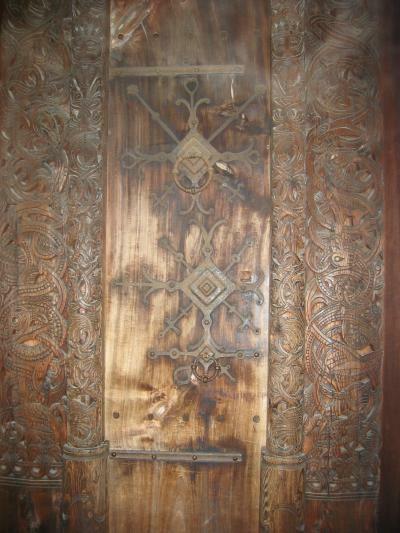 The wood is carved and decorated as you can see from the pictures above. Believe it or not, it was only about three in the afternoon when we took these pictures (some are from Saturday in the rain and some are from Sunday). In the summer it is possible to go inside (we were only able to look through the door). The picture on the right is of a wood-working shop from the late 19th century. 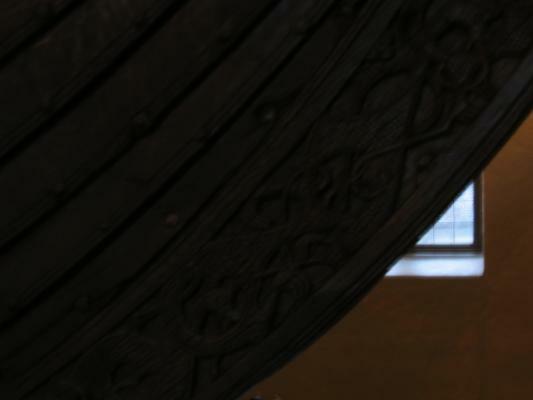 At the History Museum we saw Viking and Medieval objects. 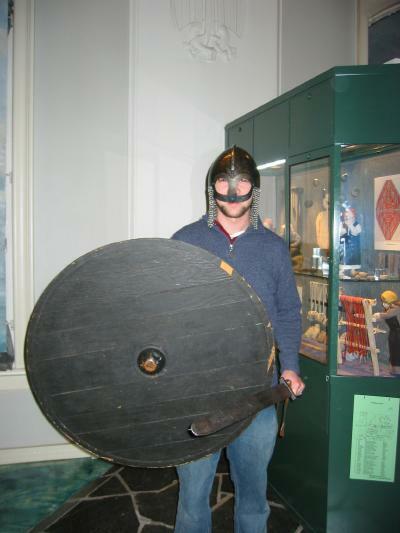 And Brian tried to pick a fight with a Viking - using the Viking's own equipment! We were excited to wake up Sunday morning to sunshine. The picture on the left is out of our window in the hostel. The center picture is from outside of the front door of the hostel, looking down on Oslo and the harbor. We stayed at a hostel on the edge of town that we reached by a tram. It's the white building on the top of the hill in the right picture. 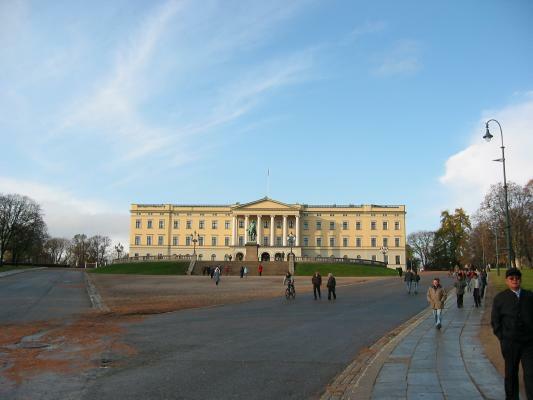 Norway is a monarchy with a king and queen, but they also have a parliament. 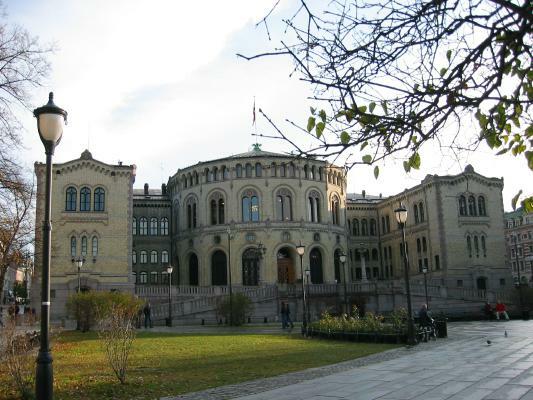 The picture on the left is the royal palace and the center picture is the Stortinget, which houses the Norwegian parliament. 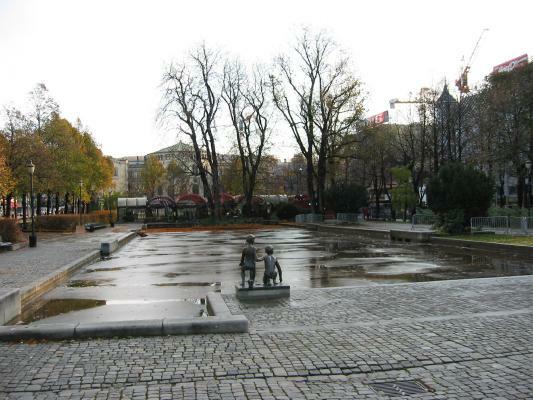 The picture on the right is of the public ice-skating park. Right now it's empty but there'll be ice there soon! The two pictures on the right are of the fortification that overlooks the harbor. Second from the right is the radhuset, the city's administrative body and seat of the City Council. In the harbor were old-fashioned wooden ships, many of which are over a hundred years old.